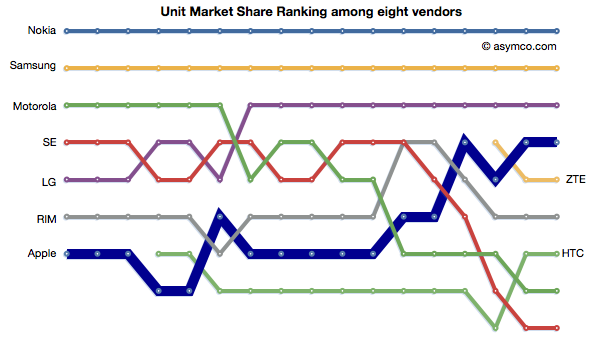 Although not much changed in the unit rankings since last quarter, revenues did see Samsung and Nokia trade places. 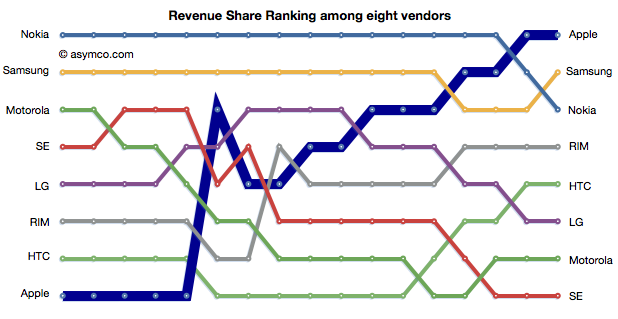 In the case of Profitability, the chart shows a sparseness that is quite unprecedented. Only positive profit figures are charted.